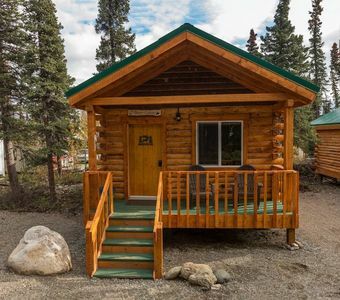 The cabin is 320 sqft. 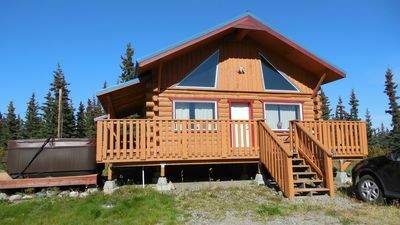 It has hot and cold running water, kitchen sink , toilet and shower inside. 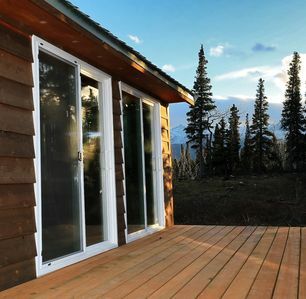 Heating is supplied by a forced air furnace and a electric radiant heater. 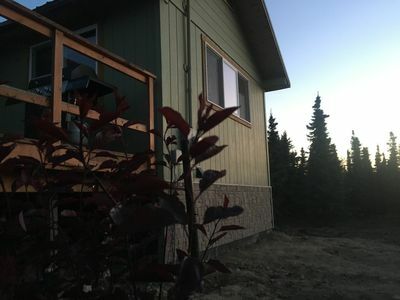 The bathroom is only accessible though the bedroom. 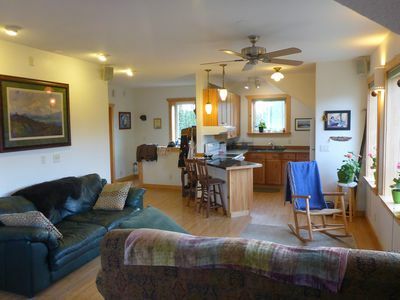 There is a futon in the living room where up to two more people could sleep. 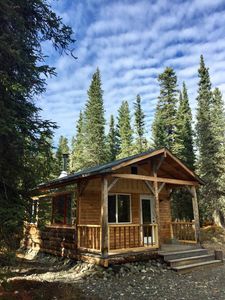 A two burner gas stovetop is provided along with a small refrigerator usually full of bacon and eggs and other things. 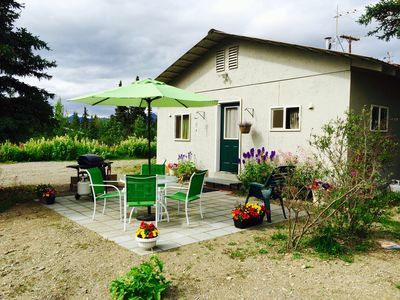 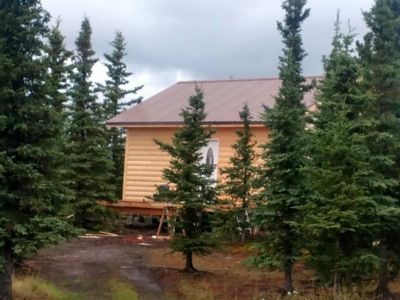 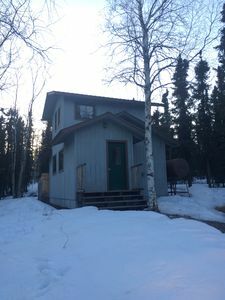 King's Deer Lodge at Denali - NEW! 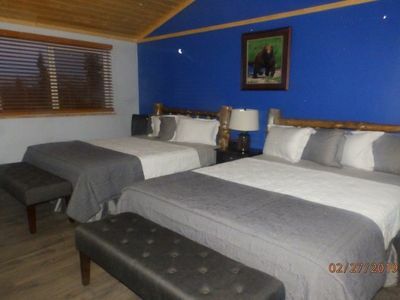 no longer renting suites. 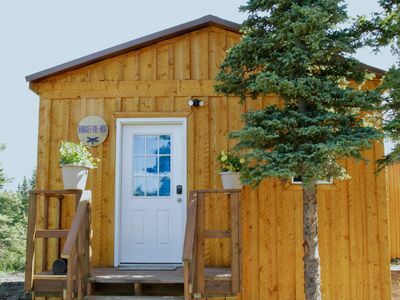 Entire lodge only. 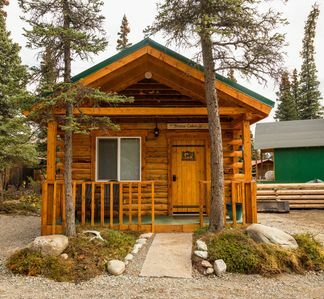 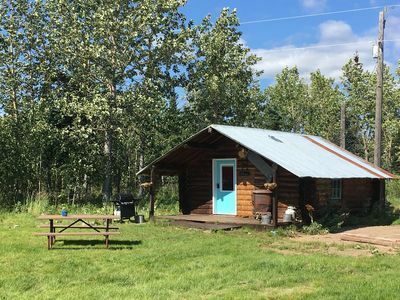 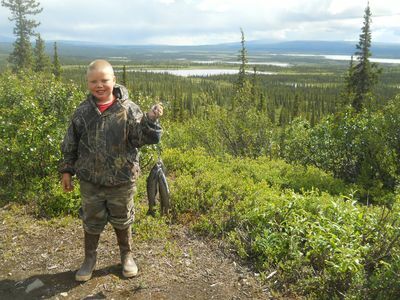 Lignite Springs, a private wooded location just 15 miles from Denali Park. 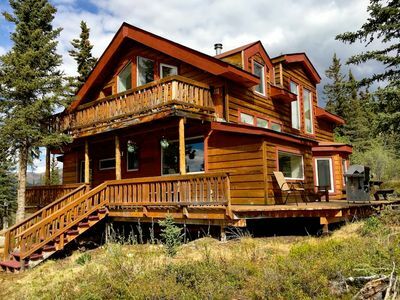 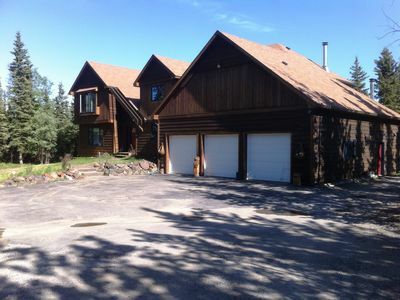 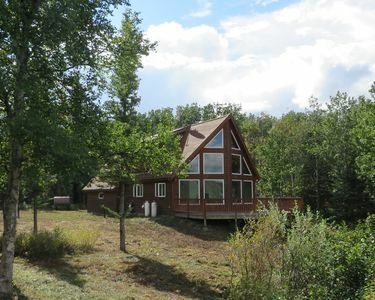 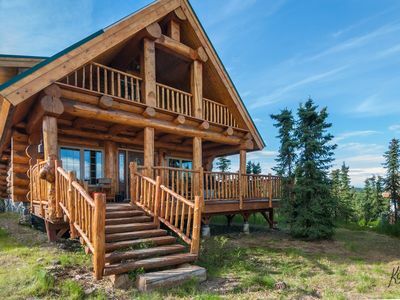 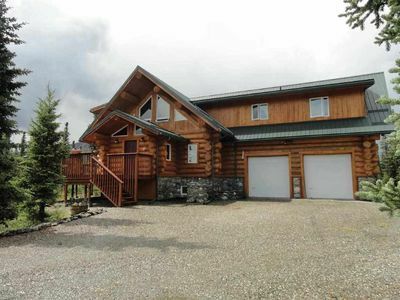 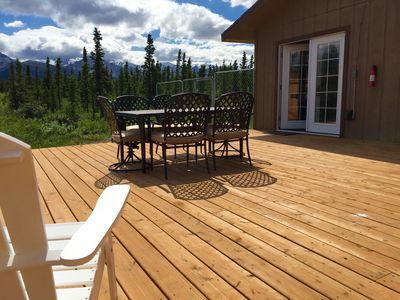 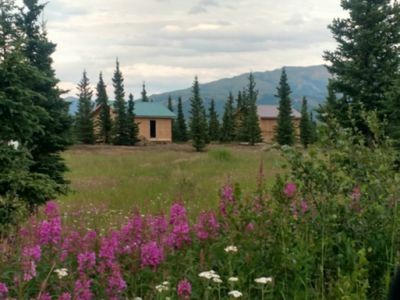 ☆ Denali Sunset House - Wild scenery with creature comforts!